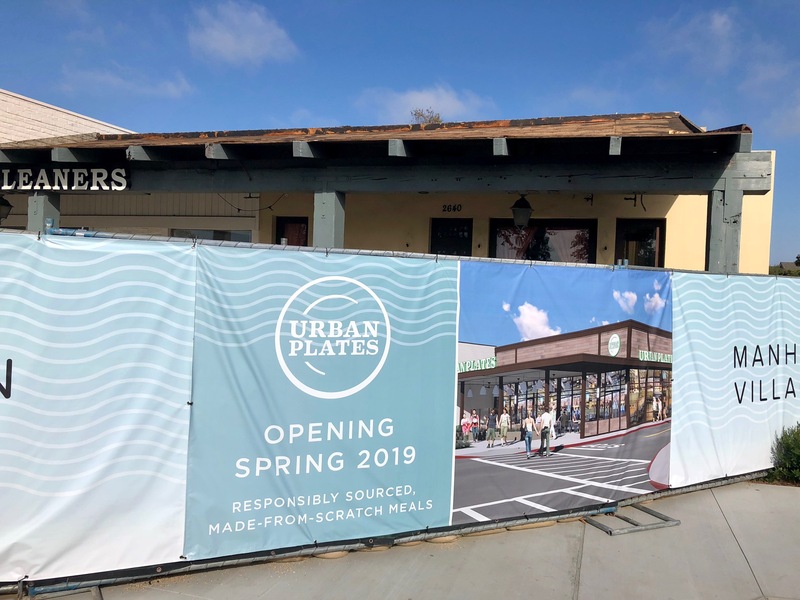 If you read this blog, you probably know that Manhattan Village, the upscale shopping center on the corner of Rosecrans and Sepulveda in Manhattan Beach, is getting tarted up with a major redo. I’ve been watching carefully to see what the new dining scene will look like. The latest news? It appears that the space that used to be the home of Sesame Moe’s will soon be a branch of San Diego-based Urban Plates. It looks like they’re shooting for a Spring Opening. If you read this blog, then you know that I’ve been tracking the progress as Manhattan Village, on the corner of Sepulveda and Rosecrans, undergoes its massive overhaul. Here’s the latest: California Pizza Kitchen is getting a flashy new home across from the branch of US Bank. Check out more details on the mall’s transformation here. 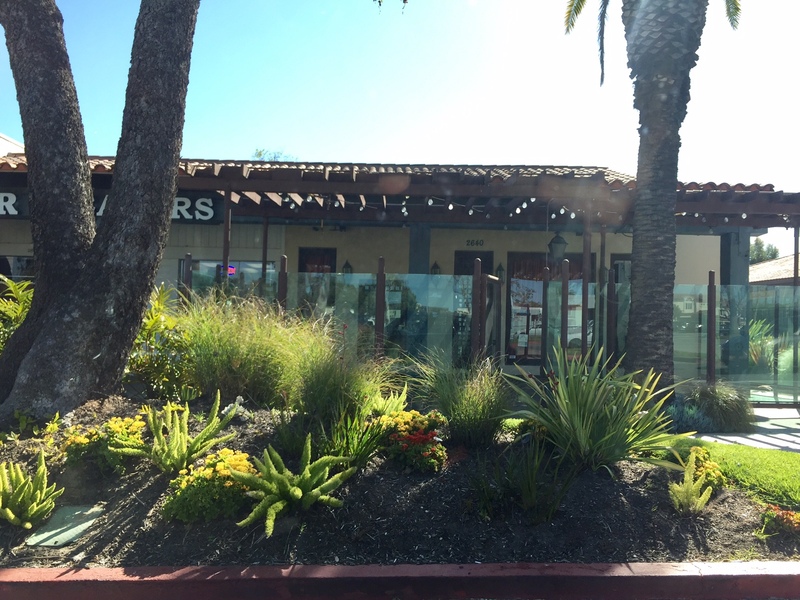 Is competition in the food scene getting too stiff in the El Segundo area? New multi-use complexes are popping up right and left. There’s the developing Elevon project, Apollo Landing, and Manhattan Village is getting a much-needed redo. But there are signs that things are wearing thin. Many empty spaces still sit in the newish The Point. And older shopping centers are beginning to bleed tenants. Plaza El Segundo has had a number of vacant storefronts for a while. Recently, customized burger joint The Counter pulled up stakes there. Courageous expanding Indian restaurant chain Samosa House has settled in and is giving it a go, making this their fifth location. We wish them the best of luck. The dramatic renovation of the Manhattan Village on the corner of Rosecrans and Sepulveda in Manhattan Beach has a new casualty. Self described “true mediterranean” restaurant Sesame Moe’s has pulled up stakes. Not sure what happened, but you can read their goodbye message here. Recently I told you about the move of Johnny Memphis’ Smokehouse from its location in the Manhattan Village Shopping Center to Downtown El Segundo. A reader was quick to let me know that the move was necessary to make room for the upcoming expansion of the mall. One other casualty was the popular Eastern European restaurant Doma Kitchen (the name means “home” in Slavic), that sat just to the right of Johnny Memphis’. But the plucky little eatery isn’t done yet… They have indeed pulled up stakes in Manhattan Beach, but they’ve landed in a brand new location. 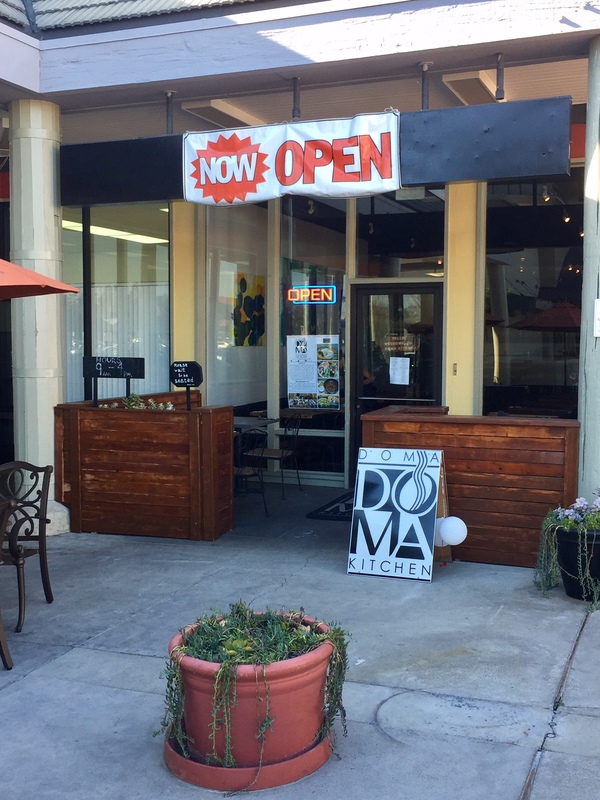 Doma Kitchen is now open in Marina del Rey in the Villa Marina Marketplace at 4325 Glencoe Ave. #8.